Nestled in Utah amidst of mountains, ski resorts, and tourists, lies a distillery. This distillery may be doing more sourcing than distilling, but this distillery does some of the most unique things with these sourced whiskeys, that they’re coming up with some of the most incredible things out there. The distillery is High West, and, although they are primarily known for their ryes, they have a couple of interesting bourbons out there as well. Let’s get the most difficult part of this whiskey out of the way right off the bat: it’s pronounced “Boo-Rye” not “Bour-ye”. The reason for this, is that it is a blend of both Bourbon and Rye. One of the most interesting things about High West, is that they don’t hesitate to tell you that they have sourced a whiskey and also where that sourced whiskey is from. Many of these sourced whiskeys, as you would expect, come from MGP in Indiana. • A blend of straight Bourbon and Rye whiskeys aged from 10 to 14 years. 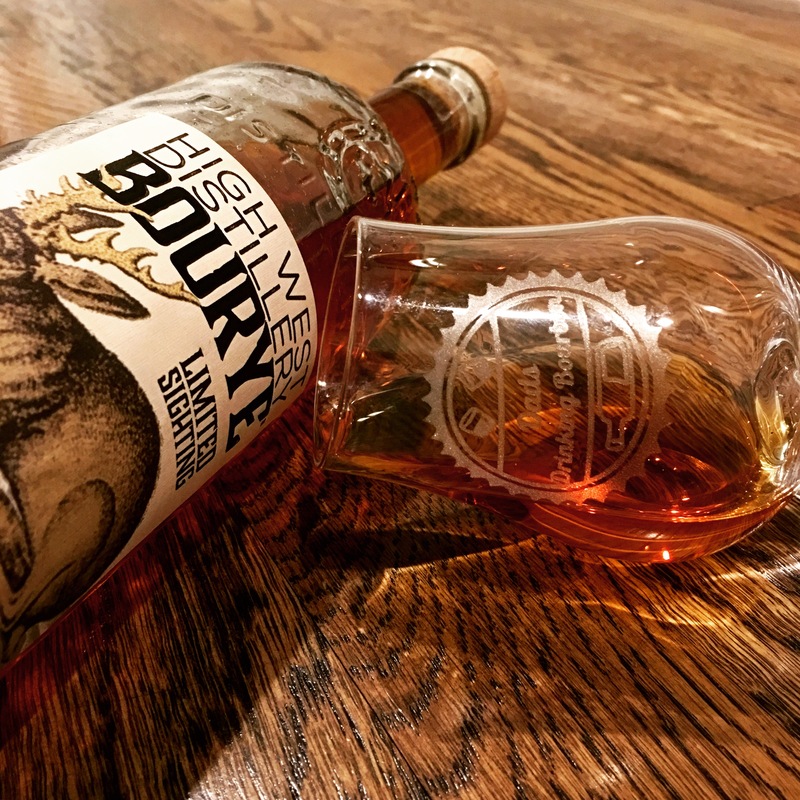 There’s also some interesting marketing around this one about how the word Bourye made them think of a jackalope, the noises they make, and how jackalopes love whiskey. I could go into more detail and I guess jackalopes aren’t bad, but I’d definitely be fighting one for this brown water. But hey, it makes for a cool looking bottle at the end of the day! So how’s it smell? On first sniff, you can definitely sense the rye with some sharp spices. Sometimes when you smell a rye you know it’s going to be a little spicier than other whiskeys even before tasting it. However, this offering has a smoothness to the spice that, although is in direct contract with itself, is definitely there. I also get a distinct vanilla smell along with the spice. That may attribute to the smoothness in the nose. The taste is a rush of spices as soon as it hits your mouth that’s extremely enjoyable. This burn makes your mouth tingle, but doesn’t make the journey down your throat as you would expect it to. That’s where the bourbon takes over and finishes the job. The spiciness of the rye quickly gives way to a smoothness of the bourbon full of vanilla, caramel, and fruit that linger in your mouth. By the way, an interesting thing about this one is that High West doesn’t recommend drinking this with ice. That’s okay with us because we tend to drink most of our whiskeys neat! Overall Rating: I really don’t always want to be the guy telling you to go buy things, but you should definitely Buy It. In full disclosure, we’re still buying a lot of the whiskeys you see on this site ourselves, and that means that most of the juice we’re going to put up we like! Yes, there are some duds out there, but this one is definitely not one of them. I always like a whiskey that has an interesting story and leads itself to an interesting and unique experience. This one definitely does that. It’s great for a night with friends to try and talk about. It’s going to lead to good conversations, it tastes good, and when you’ve had enough of it, you can get into some fun conversations about jackalopes!